The question is, will it be enough? Fall of 2015 could mark a historic time for mankind and the planet as we know it. Over the next few months, climate change will be front and center in the news as world leaders scramble to reach an agreement on how to deal with global warming. Over the course of 100 days, diplomats will meet in a series of conferences culminating in the 2015 UN Conference on Climate Change in Paris at the end of November. The results of that conference will set the course of the global response to climate change for years to come, especially in regards to the poor countries that are suffering the greatest. Here is everything you need to know to keep abreast with these major developments. The show starts next week when Pope Francis comes to America to give speeches before Congress and the UN General Assembly – the first sitting pope to ever do so. As the leader of over a billion Catholics across the world, Pope Francis’ decision to make climate change a top priority speaks volumes. In October, world leaders will meet in Lima, Peru for the World Bank’s annual meeting. Although representatives there will talk about a number of issues, climate finance will most certainly top the agenda. 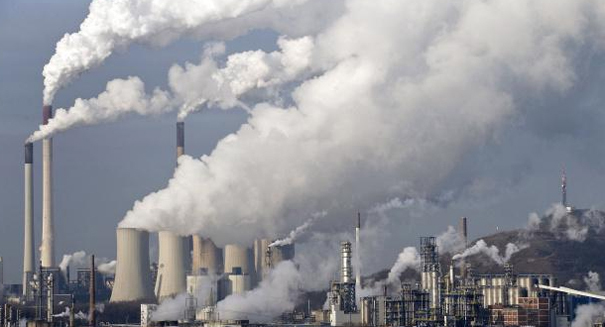 The World Bank wishes to raise $100 billion by 2020 to combat global warming. The contentious aspect of those efforts will be determining how much should go to poor countries suffering the brunt of the increasingly extreme weather conditions and how much should go towards proactive research and development. Before President Obama and President Xi sit down together in Paris, the shape and scale of the project will have to be thrashed out. The outline for a plan to save the world is due in three weeks. Last week, representatives met in Bonn to craft a draft that explains various countries positions and intentions. Despite a week of negociations, little progress was made in coalescing all that information into a viable plan. Therefore, the two co-chairs of the Bonn talks, Ahmed Djoghlaf and Dan Reifsnyder, have been given permission to hack and hew the document until it can be plausibly called a proper draft agreement for Paris. The idea is to slim down the current 83-page document full of differing opinions into a deal with only three options for each aspect. At the start of November, the United Nations Framework Convention on Climate Change (UNFCCC) secretariat will present a summary of the amount of money each country is willing to contribute to the cause. No one expects the initial figure to be nearly enough but it will serve as a start pointing for financial reckoning. Finally, for two weeks starting on November 30, officials will bring all the pieces together in order to reach a comprehensive strategy for saving the world. Or as they like to put it, an agreement for a new framework for collaborative global action on climate change. In 2009, amidst similar fanfare, world leaders met in Copenhagen to reach an agreement on how to stop or slow climate change. The result? The UN climate chief announced that there was no way a legally binding deal could be reached. Organizers and participants of the Paris conference urge that this time will be different. “Where we are now is much, much better than where we were at the same time in 2009 in the lead up to Copenhagen,” said David Wei, a representative of the We Mean Business coalition. Wei argues that this time around, the US and China have all decided to engage in a meaningful way. In a few short weeks, we will know whether or not American and China’s commitments will make any difference.